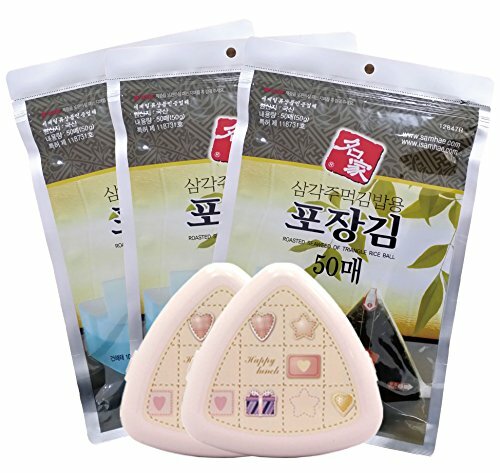 ★From the Manufactuer★ We, Moungga Laver of Samhae Commercial founded in 1968, have produced laver products with craftsmanship to this day. We are Korea's greatest laver-specializing manufacturer with invented products of roasted seasoned laver for the first time in Korea. SAMHAE, have been specialized in especially No.1 Seaweed Snack manufacturer and Exporter in Korea. Make your own Samgak Kmbab with various filling like tuna, ham etc. If you have any questions about this product by Myungga gim, contact us by completing and submitting the form below. If you are looking for a specif part number, please include it with your message. By Gwangcheon Joyang Food Co., Ltd.